Max DVD and Blu-ray release date was set for October 27, 2015. 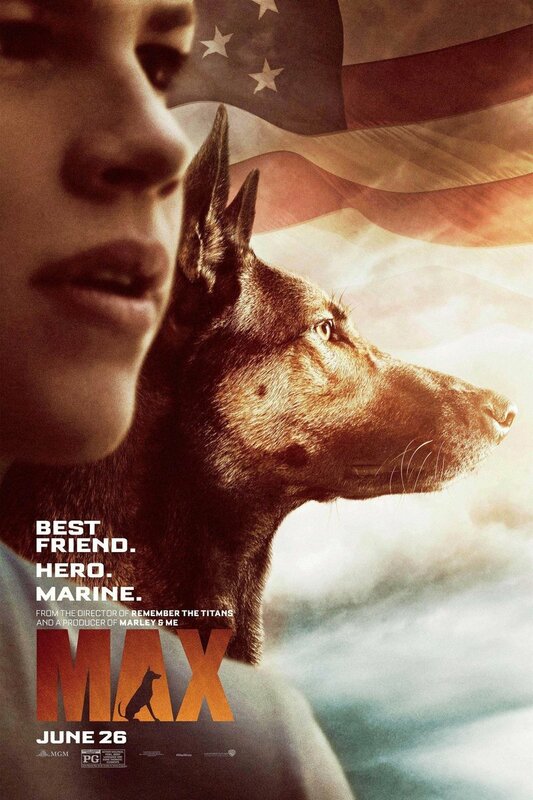 Set during the current war in Afghanistan, a militant working dog named Max faces an early trauma after witnessing the death of his handler, Kyle, at the hands of an explosion. Left alone and feeling abandoned, Max is soon taken in after returning to the US, by his handler's family. During his stay with them, he begins to heal from his psychological trauma with the help of Kyle's brother, Justin. The new bond that begins to form between the two will become more important than ever as trouble looms in the future in the form of Tyler.